Having said this is a great show, I also have to say that I've only seen episodes from the one set in Cologne (and its crossover episodes with Leipzig) and a couple of episodes from Hamburg. Mhz is the only channel that shows Tatort in my area, and they have only shown the detectives from these cities. Mhz had a long break in airing them but as of 2017 they are re-showing the Cologne episodes, and it's been great to see Freddy and Max again. I think Mhz has a pay site for viewing them on the web, and I did notice that Youtube has a lot of them (from many more regions), but the ones I've checked aren't captioned. I don't know German, so Youtube hasn't been helpful to me. 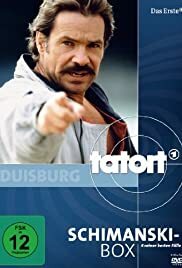 The other reviews cover the general idea of Tatort, and I can't add anymore to them except to say that the Cologne episodes are consistently good. I also liked the two I saw with Mehmet Kurtulus (Hamburg). They had quite a different feel to them, and I hope the station will show more of them; the two I saw made me want to see the others. As mentioned above, Tatort often deals with social issues, and it's interesting to see how Germany addresses them. In a less serious vein, regional cultural differences sometimes appear in the dialogue (and presumably the accents). For instance, people in Cologne seem to have some antipathy toward Westphalians, though I don't know why. Naturally, it's also fun for Americans to hear Max occasionally speak English or to see or hear popular cultural references familiar to people in the U.S. Of course, the main emphasis is solving homicides, and if you enjoy detective shows, I do recommend that you give this show a try.